First let's mention the unexpected rise and subsequent fall of PortalPlayer. I don't know if you are familiar with this company, but its components featured (in the past) in world famous iPod players of all generations. These components are labeled System-on-a-chip (SOC). In fact, it is a hardware and software complex you can add any DAC, headphones amplifier, display, storage and RAM to complete the product. The purchase of the platform makes it easier to develop software and ensures fewer bugs in the end product. The responsibility of a SOC developer is very high – unsuccessful solutions damage its reputation dramatically. Software for Hifiman HM-801 as a counter example was developed from scratch. I don't know how many people worked to create this Chinese bar like product, but the person who masterminded the project suggested there was only 1 employee. The period for the "firmware" development was long and release date was being constantly delayed. Going back to PortalPlayer we should remember that the company was founded in 1999 and could have easily vanished into obscurity, but for Apple. The first iPod generation announced at the end of 2001 was built around PortalPlayer 5002. Due to huge sales of Apple devices PortalPlayer managed to develop its platform. Remembering not to put all eggs in one basket different versions of SOC were developed and found their way into players from Rio, iRiver, M-Audio, MSI, Philips and other less celebrated OEM manufacturers. Not least of all it influenced the development of free Rockbox firmware initially created for Archos, while later on when iPod conquered the world enthusiasts paid attention to the market leader as well. 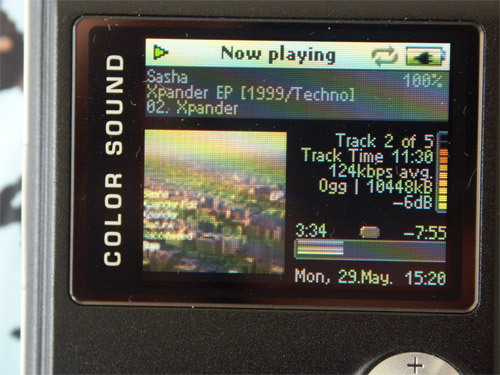 It was Rockbox that facilitated the development of an interesting version of Cowon X5L named Alexmod. It is necessary to mention that identical platforms do not necessarily translate into identical sound quality. Take, for example, 4th generation iPod and M-Audio Microtrack 24/96 recorder built on PortalPlayer 5020. DACs and operational amplifiers are different. 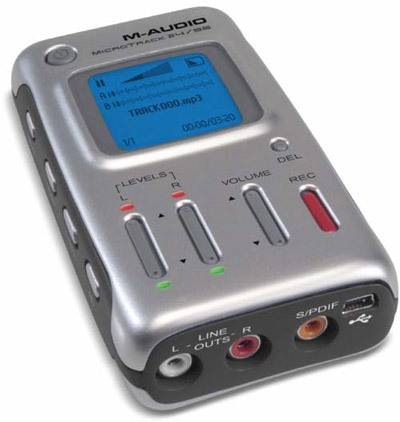 Besides Microtrack recorder has ADCs, balance inputs and phantom power for the microphone, which are not available for iPod. In other words we get a PC analogue you can add a sound or video card of different quality. The client must decide what to include in accordance with requirements. The interface also depends on the customer, so interfaces in Microtrack and iPod vary a lot. The same applies to user experience too. Despite contracts with other manufacturers (apart from Apple) PortalPlayer could not survive when in 2006 Apple decided not to use the platform any more. 6 months later PortalPlayer was sold to NVidia. The last Apple iPod built on the platform was iPod Video. Starting from Classic the hardware of iconic players was changed. Now we have an intriguing question if consumers noticed the switch. The answer must be negative. The interface remained the same and the design was barely altered. Indeed, several audio components were replaced alongside the platform, which slightly influenced the sound. Some users even called the change pivotal. One day I hope to compare Apple players of 5th and 6th generations to cross all the dots at least for myself. 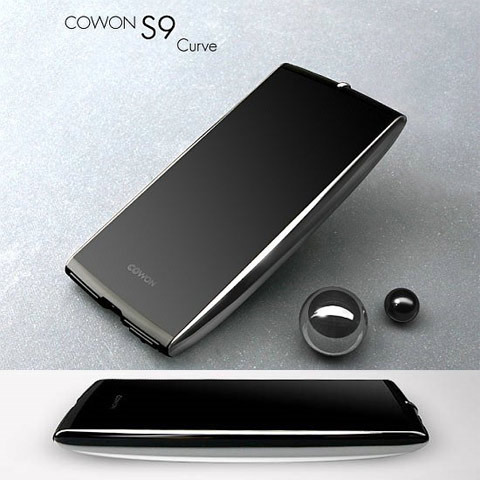 Here I would like to preview one of our forthcoming articles on the comparison of audio parts in Cowon S9 and iPhone 4. The idea of testing a former PMP flagship was suggested by readers who wondered if it is possible to compare a mass market iPhone with a Cowon for audiophiles. The article will answer these questions. Some will be happy, while others will get disappointed in accordance with the law of connected vessels. I hope you will enjoy the read. A similar situation can be found in the mobile phones market, when giants like Qualcomm create platforms for numerous models from various manufacturers. The quality of separate components, for example, a GPS receiver, is not always the best, but it makes the software and hardware development easier. It is extremely important at the moment when it is getting increasingly more difficult to create the product from scratch as components get more sophisticated. Even such a simple device as a player cannot be created within a year or two singlehandedly without the expertise of third party manufacturers. More inquisitive readers can think of the following question – what happens to license fees? When a company adds, let's say, MP3 support it should pay a moderate fee from every sold item to the right holder – in the case of MP3, this will be Fraunhofer-Institute. If the company uses a platform created by another developer who will pay the fees then? This brings me to the end of today's issue. Meet you on our forum.